Sotherby’s Australia has announced and commenced an exhibition that offers exquisite jewellery pieces for sale rather than auction. This means there are many beautiful pieces that can be snapped up for less that AUD$1 million. The exhibition has been titled ‘Age of Elegance’ and true to its name each piece has permeated a certain elegance and brilliance that has the viewing public breathless. The sale includes pieces that have been worn from A-list celebrities such as Madonna and Angelina Jolie, marking it a truly special exhibit! Celebrities such as Jennifer Anniston and Shakira both share birthdays this month – and what would be on the top of their wish lists? Gorgeous, one-of-a-kind jewellery, of course! Our jewellery pieces are hand-crafted at our Coffs Harbour showroom, and each tells their own unique story. 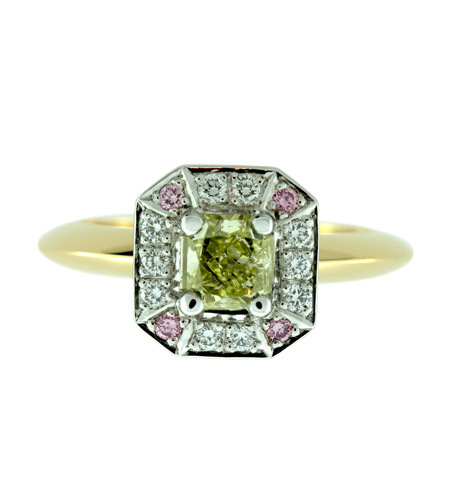 Truly experience simplicity and extravagance in tandem with this beautiful yellow gold ring that features argyle white and pink diamonds set delicately to frame a gorgeous yellow radiant-cut diamond. 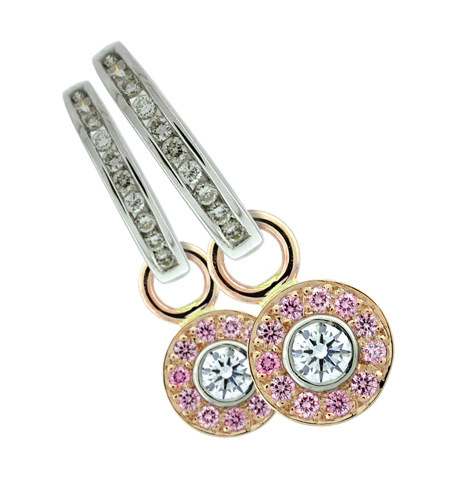 Celebrities design unique style combined with superior beauty, and what better way to accentuate this than our interchangeable argyle pink and white diamond earrings. Sure to impress wherever you go, these beautiful and classically-designed earrings are sure to turn heads. At Kennedy Jewellers we know that many of our customers are becoming more discerning and seek a distinctive point of difference for jewellery pieces that are one-of-a-kind. By creating elegant and unique pieces from the start, we have been able to offer gorgeous pieces that simply cannot be found anywhere else that are designed to showcase sophistication, style and brilliance. To discover more about our unique jewellery or to book a private consultation at our Coffs Harbour showroom, please do not hesitate to contact us.